The next time you are involved in activities or tasks that require you to be exposed to nature, you better take extra precautions. 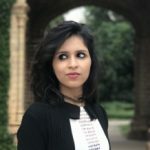 The insect or tick bites that you get – be it while trekking or trimming your lawn – also have the potential to take your life by causing Lyme disease. However, there are a few home remedies that can give partial relief from your symptoms. Scroll down for more information. Lyme disease is a bacterial disease transmitted through the bites of blacklegged or deer ticks. Your chance of developing Lyme disease usually depends on the kind of tick that bites you and the duration the tick was attached to you. A blacklegged tick must be attached to your body for at least 24 hours to transmit the disease to you. Let’s now look at the causes of this disease. Four species of bacteria primarily cause Lyme disease – Borrelia burgdorferi, Borrelia mayonii, Borrelia afzelii, and Borrelia garinii bacteria. While the first two are the main cause of the disease in the United States, the rest two spread the disease in Asia and Europe. Infected black-legged ticks, also known as deer ticks, are what transmit the disease to humans. You become infected when an infected deer tick bites you, through which the bacteria enter your skin. They then enter your bloodstream, thereby infecting you. Nonetheless, it should be noted that a tick must be in contact with your body for more than 24 hours, say 36 to 48 hours, to transmit the infection. The infected individuals may start showing the following signs and symptoms. In a few cases, the symptoms associated with the first stage may be completely missing. The rash expands at the site of the bite. This stage is the most dangerous, and must be immediately attended to medically. By now, it must be quite evident to you that the earlier you treat Lyme disease, the faster you can recover from it and avoid its complications. 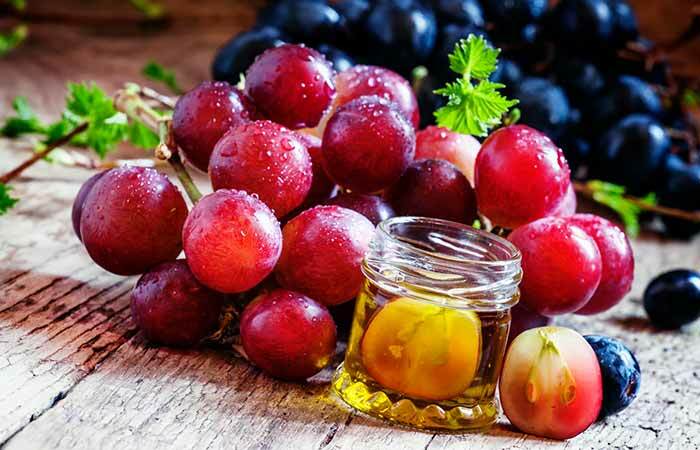 While availing medical treatment is inevitable, you can consider trying the following home remedies to accelerate recovery. Add a drop of clove oil to a glass of water and mix well. Drink this 1 to 2 times daily. 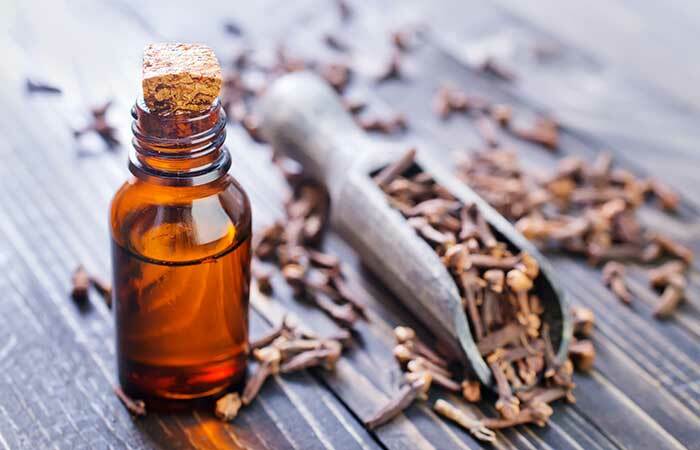 Clove oil is widely used for its anti-inflammatory and antimicrobial properties that can help manage the symptoms of Lyme disease. The oil also reduces the accompanying swelling and inflammation (1), (2). Add a drop or two of frankincense essential oil to a glass of water. You can also add two to three drops of frankincense oil to a diffuser and inhale its aroma. 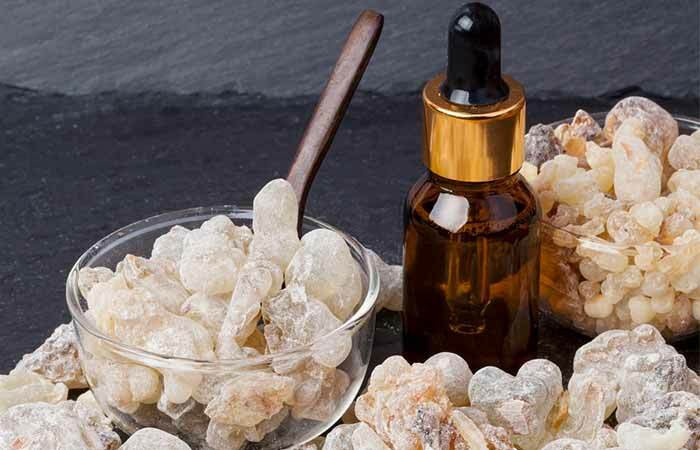 Frankincense oil is mainly used for its immunomodulating and anti-inflammatory properties that can help stimulate the functioning of your immune system. It also reduces any inflammation within your body. Frankincense oil can also help you relax and sleep better, especially if you experience sleeplessness or can’t sleep properly (3). Consume cloves of raw, minced garlic via your diet. You can also simply chew on them, but because of the strong flavor, it is better to add garlic to your food preparations. Garlic contains a component called allicin, which gives it its amazing antifungal, antibacterial, and antiparasitic properties. 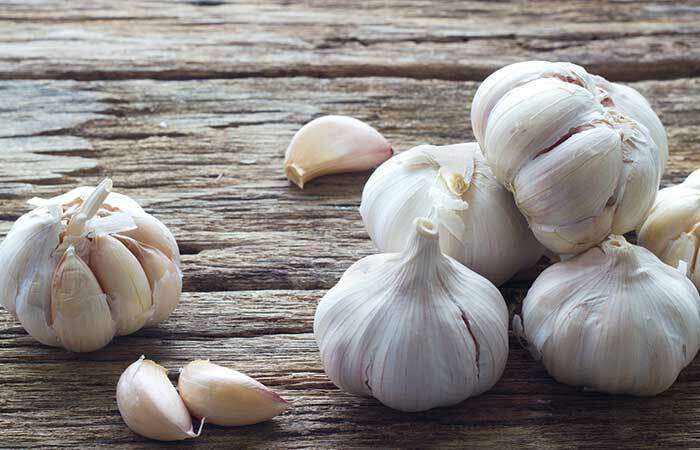 Garlic is also anti-inflammatory and can help reduce the inflammation caused by Lyme disease. It can also oxidize heavy metals, (to which bacterial biofilms cling) and help expel them from your body (4), (5), (6). Add some honey as per your requirement and drink this mixture. You can also soak in an apple cider vinegar bath by pouring a cup of it in your bathwater. 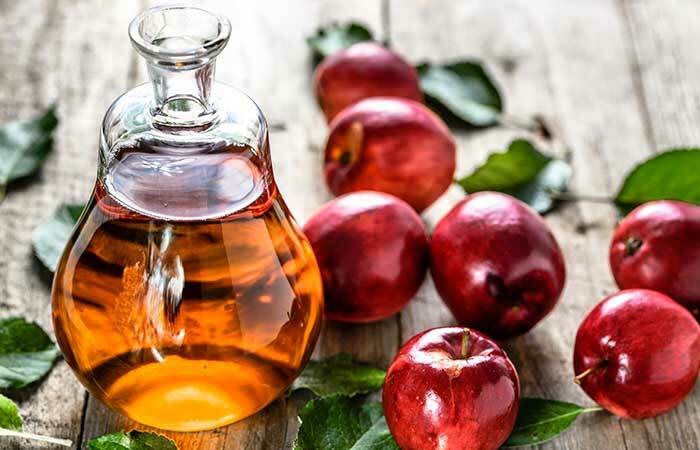 Drinking diluted apple cider vinegar daily can help reduce inflammation. And the antibacterial properties of ACV can also help in fighting bacterial infections (7). Take a bowl each of cut celery, cucumber, and parsley and blend them with a little water. You can add honey if you want to improve the flavor of the juice. Drink 6 to 8 glasses of this mixture daily. 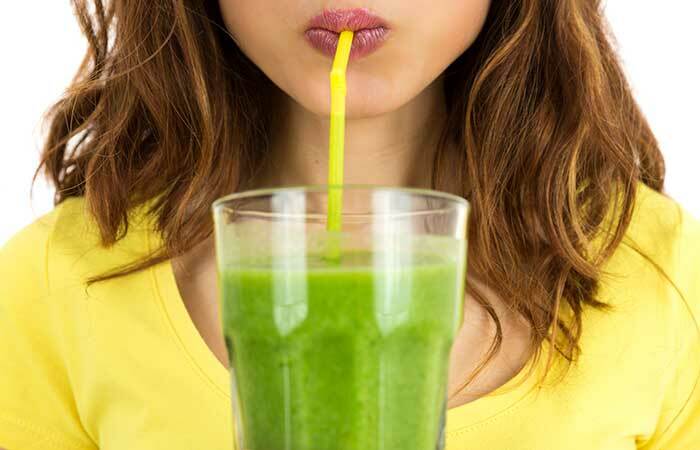 Juicing has been an effective remedy for various ailments. The chlorophyll content in green leafy vegetables flushes out all the toxins in your body and suppresses inflammation. You can also drink fresh carrot juice to find relief from the symptoms (8), (9). Take a tablespoon of coconut or sesame oil in your mouth and swish it for 15 to 20 minutes. Do this once every morning, preferably before brushing your teeth. Oil pulling can help detoxify your body. It is especially beneficial if you have fillings or root canals inside your mouth. This is because amalgam fillings, root canals, or even crowns may become the perfect hiding spots for infections (like foci infections) that can aggravate Lyme disease. Hence, oil pulling can help in the management of Lyme disease. (10). Increasing vitamin intake (like vitamins B-complex and D) is a great way to accelerate your recovery from Lyme disease. While vitamin D suppresses inflammation and boosts your immunity, B complex vitamins improve your cellular and metabolic functions. 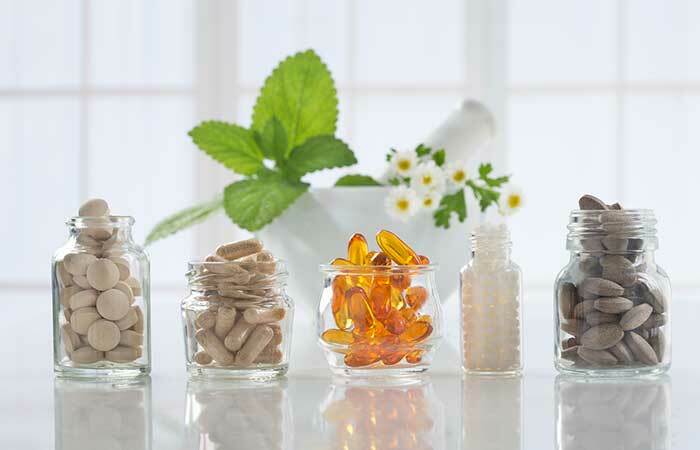 Since these vitamins are mainly present in dairy, which should be avoided by patients with Lyme disease, you can consult your doctor and take supplements for them (11) (12). Add turmeric powder to a cup of water and heat it in a saucepan. Keep heating until you get a slightly thick paste. Include this paste in your diet via smoothies or salads. Include turmeric in your daily diet. Turmeric is mainly made up of curcumin. 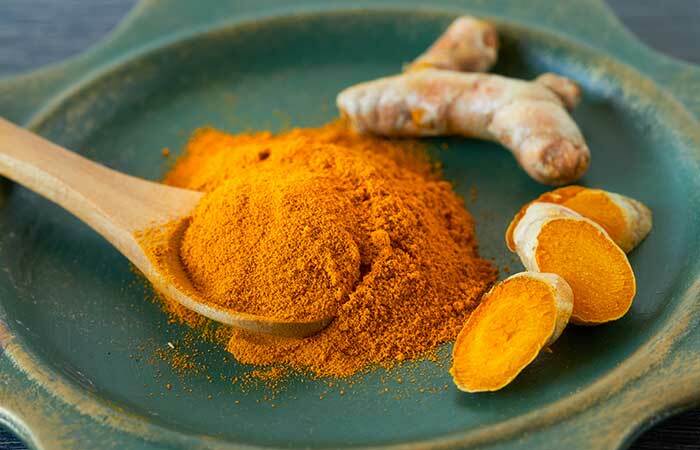 Curcumin possesses wonderful therapeutic properties, given its anti-inflammatory, antioxidant, and antimicrobial activities that help in relieving the symptoms of Lyme disease (13) (14) (15). Consume 200-500 mg Berberine supplements daily. You can consume this 2 to 3 times daily. 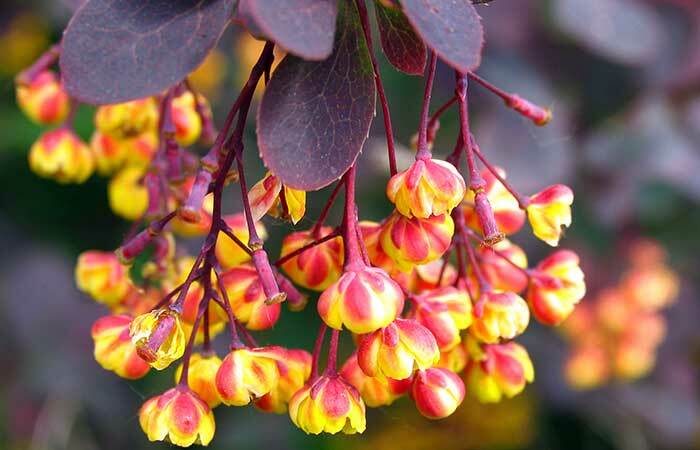 Berberine possesses anti-inflammatory and antimicrobial properties that can help reduce inflammation and swelling. It also helps in dealing with the bacterial infections that cause Lyme disease. (16) (17). Take a tablespoon of astragalus root and boil it in a cup of water in a saucepan. Consume this tea daily for effective results. You can drink astragalus tea 3 to 4 times daily. Two of the most common symptoms of Lyme disease are fatigue and weakness. 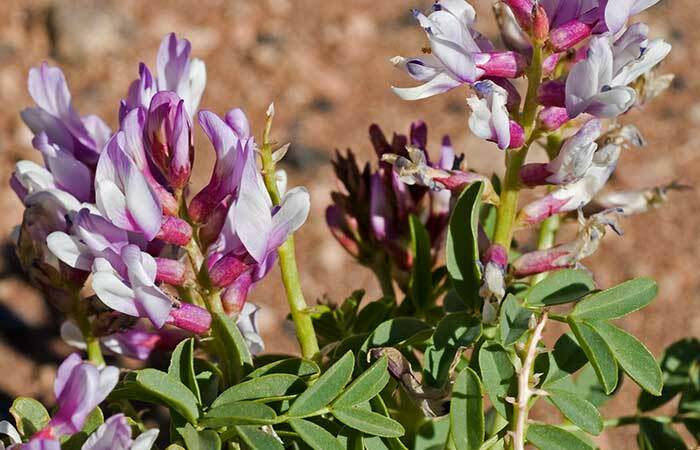 Astragalus is a great way to restore your energy levels and fight fatigue. It also increases your resistance to diseases and boosts immunity while reducing inflammation (18) (19). Add 10 drops of grapefruit seed extract to a cup of water or fruit/vegetable juice and consume daily. Drink this 2 to 3 times a day. Grapefruit seed extract possesses anti-inflammatory properties that help reduce the inflammation caused by Lyme disease. Surprisingly, grapefruit seed extract also has an anti-borreliae effect – it specifically fights against the Borrelia species of bacteria that are often responsible for Lyme disease (20). Consume 240 mg of ginkgo biloba supplements daily. Lyme disease can also lead to short-term memory loss and loss of other cognitive abilities. This is where ginkgo biloba comes into play. 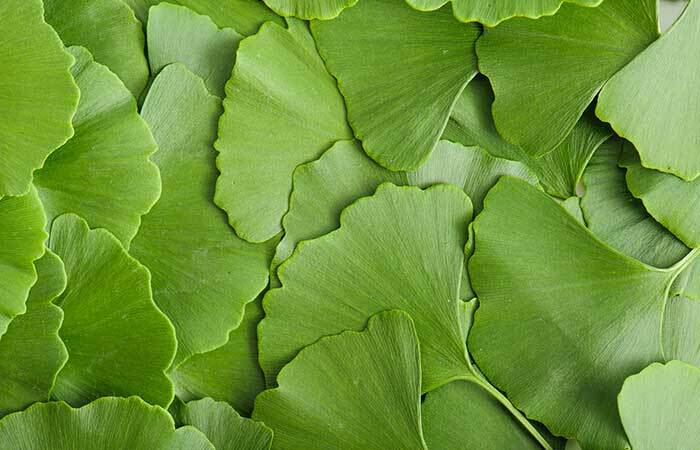 Ginkgo biloba extract is widely used for treating memory loss and improving cognitive abilities. Additionally, it also has anti-inflammatory and antibacterial properties, making it one of the best possible options for partially relieving the symptoms of Lyme disease. (21) (22) (23). Add a teaspoon of echinacea tea to a cup of water and bring it to a boil. Add some honey after it cools down a bit. You can drink echinacea tea 2 to 3 times daily. 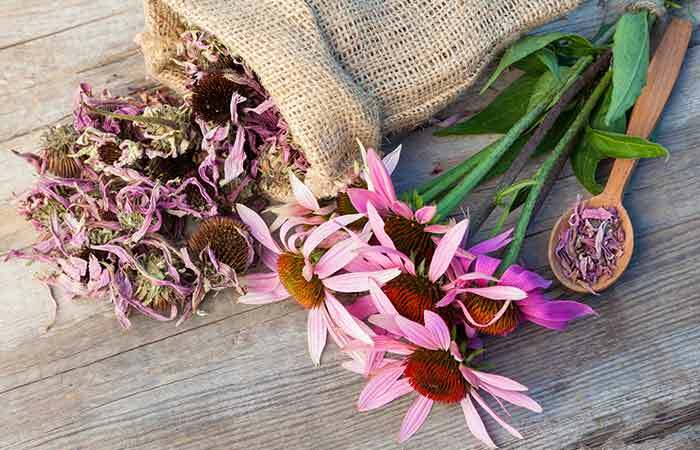 Echinacea acts as an antibiotic and possesses antibacterial properties. These help in dealing with the bacterial infection that causes Lyme disease. Echinacea also exhibits anti-inflammatory properties and can help treat swelling and other inflammatory symptoms (24) (25). If you’re in luck and haven’t contracted Lyme disease yet, or if you want to stop its recurrence, all you have to do is keep the following precautions in mind. Cover yourself properly whenever you are in woody or grassy areas. Wear a long-sleeved shirt, full pants, socks, and gloves to prevent tick bites. Use an insect repellent on your skin – one that contains 20% or higher concentration of DEET. Try and keep your yard tick-proof. Check your kids, pets, and even yourself for ticks after spending time in grassy areas. Shower after spending time in tick-prone areas to remove unattached ticks. Use tweezers to remove ticks that have attached themselves to your skin. Follow an anti-inflammatory diet that includes leafy vegetables and more fish. Avoid foods that contain gluten, sugar, and dairy. Get your body massaged by a professional to relieve pain. Try out yoga poses like the Reclining Mountain Pose, Bridge Pose, Staff Pose, and Lotus Pose to help alleviate the symptoms of Lyme disease. The effects of Lyme disease may sometimes last for a long time, even upon being treated immediately, and its long-term effects are still unclear. As in the case of most diseases, it is best to take precautions and prevent Lyme disease than regret later. Although these remedies can reduce the severity of the symptoms, medical intervention is extremely important to cure the disease. So, the next time you are in your yard or any tick-prone areas, be extra cautious. If you have any more questions regarding Lyme disease, feel free to post them in the comments section below. What should you not eat when you have Lyme disease? You must completely avoid eating foods containing gluten, dairy, and sugar. This is because they suppress your immune system and are also highly inflammatory, thereby slowing down your healing process. How can Lyme disease kill you? Lyme disease is a fast-spreading infection, and thus, when left untreated, can also kill you in a matter of a few years. Is Lyme disease curable in humans? When diagnosed early, Lyme disease can be cured by antibiotics alone, without any complications. It can also be treated in the later stages. There was a vaccine developed for Lyme disease, but it is no longer available because of insufficient consumer demand and also because it did not provide long-term protection from Lyme disease.